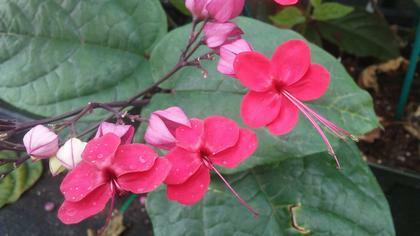 This shrubby vine is always producing red and pink flowers for a beautiful long-season blooming spectacle. Rosy pink calyx stays on for months after the red corolla drops away. Very attractive to hummingbirds and can handle some partial shade.